I'll start by saying that this book is a little different from the usual cookery books I review, and I'm not sure it's one that I would have picked up in the bookshop... BUT... I love it! 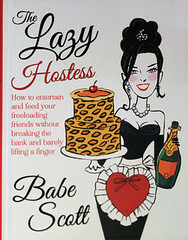 Written by Babe Scott, The Lazy Hostess is a hilarious book which will turn the most domestically challenged hostess into one that will dazzle and entertain without the fuss, stress and big bucks. I hadn't heard of the author before, but Babe Scott has been described as a 'kitchen vixen' on a mission to put the flirt back into finger food. Although born in Sydney, Australia, she now lives in New York and is a media personality and writer, airing her saucy views from dating and mating, to cocktails and canapes. You won't find any photographs of the food in the book, but there are plenty of cute, quirky illustrations (by Chuck Gonzales), providing humour and colour throughout. The first part of the book is all about planning, hosting and dressing for the party. There's a handy list of equipment to help you plan a cocktail party, and of course, some all-important cocktail recipes to get your party swinging. I really liked that each cocktail recipe has the quantities for a single serving, as well as a large pitcher or party pitcher. 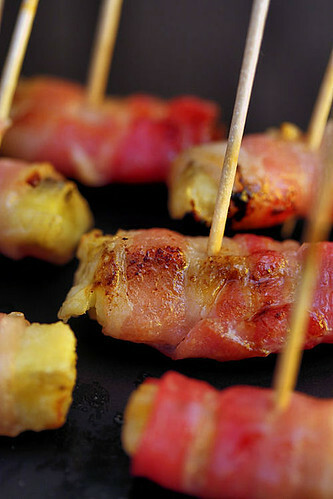 The party food is divided into four sections, Cheesy, Doughy, Meaty and Bacony, plus a few 'classic' recipes. All the recipes are fairly simple, inexpensive and use easy-to-find ingredients, and each one has a note about how far you can prepare it in advance and what you need to do to serve it. And, if you lack culinary skills or don't feel like making your own finger food, there's a cheat sheet with ideas to help you pass off those supermarket-bought platters as your own! I made 4 recipes from the book (see photos), other recipes that caught my eye were Chocolate Bacon, Paris Stilton, Bacon Bliss, Daring Dates and Kickass Kebabs. With the party season just around the corner, this book could be the answer to your stress-free party planning, it would certainly make a great gift for anyone with limited time and money but still enjoys entertaining with their friends. 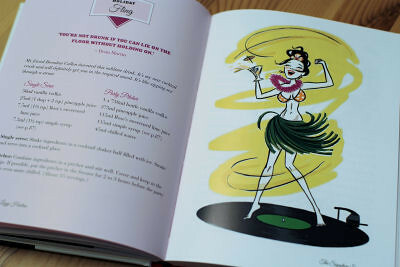 The book is meant to be a little cheeky, with the idea that you can enjoy your own party with a little advance planning - and Babe Scott even gives advice on how to get rid of those pesky guests who outstay their welcome at the end of the evening! Combine the cream cheese, soup mix and Cheddar cheese in a medium sized mixing bowl. 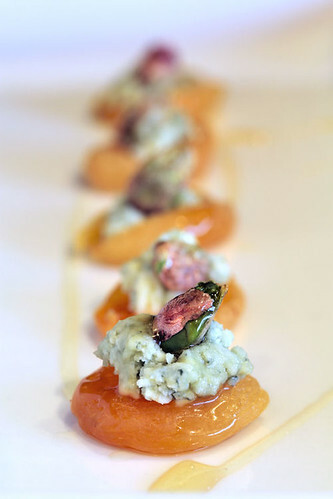 Shape the mixture into small balls and place on a baking sheet lined with cling film or baking parchment. Pulse the crisps in a food processor until you have fine crumbs. 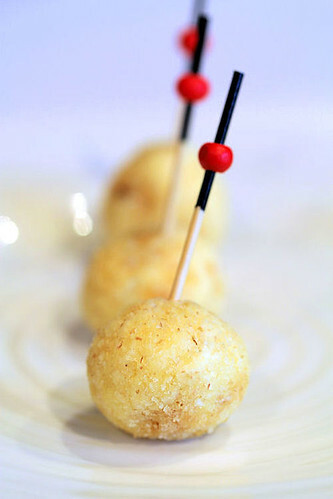 Roll the balls in the crumbs until evenly coated. 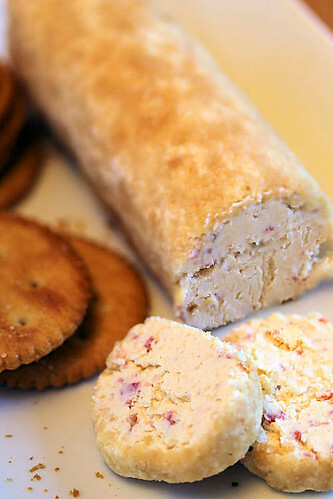 Chill the cheese balls for at least an hour and up to a day in the fridge so they become firm before serving. The book can be bought from the Random House Group, Amazon, and all good bookshops. Disclaimer: I received a review copy of the cookbook from Bantam Press, all views expressed above are my own.